Start-up Disruptive Technologies from Norway and established company Invisible Systems from Cumbria have been named as joint winners of BT's latest Infinity Lab competition aimed at discovering business transformation solutions in the Internet of Things. The competition attracted entries from almost 100 SMEs from the UK and overseas with several themes emerging around the potential application of future IoT based technologies. These included Buildings; Asset Tracking; Warehouse; Fleet; Data and Platforms and Sensor/Networks. Disruptive Technologies' sensor solution caught the eye of the judges for its use in buildings to monitor factors such as energy efficiency, security and how best to utilise space. BT believes that their micro sensors could be used for a wide variety of applications relating to building operations. This might include seat occupancy and granular temperature monitoring as well as user initiated actions like alerting suppliers when paper is running low.Invisible Systems’ technology features a range of low power wireless intelligent sensors and a cloud based real-time online monitoring solution. The technology is aimed at helping businesses save money and achieve regulatory compliance. BT is interested in these technologies as a potential IoT based solution for buildings which currently lack a building management system (BMS). This is typically used to control and monitor equipment such as ventilation, lighting and power as well as fire and security systems. Such critical factors need to be continuously monitored in a data centre environment, for example, which is a potential application of Invisible Systems’ technology. 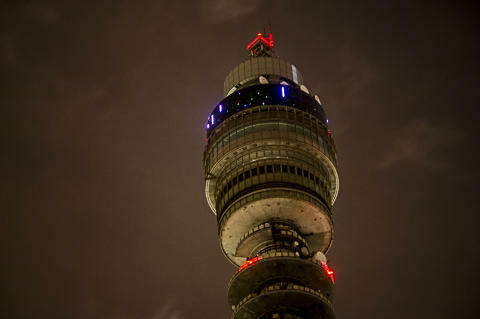 BT announced the two winners after a Dragon's Den style pitch session held at the BT Tower, believed to be the tallest building in the world to house an IoT base station. Judges included, from BT, Chris Sims, MD of marketing & IoT, Nick Hale, MD of ventures and Steve Best, MD of wholesale products and portfolio strategy. David Rayner, electronics and communications specialist from the UK’s Department for International Trade and Jessica Ellis, smart city consultant were also on the panel. Winners will receive access to BT's award winning research and development labs in Adastral Park, Ipswich. They'll also gain a six month membership to TechHub's global entrepreneur community, workspace and support programme. To kick-start their business idea, all the UK finalists have also been invited to attend the trade mission to TC3 in California in November, a two day event for telecommunications companies, major vendors and start-ups, courtesy of the UK’s Department for International Trade. The event will provide networking opportunities and an opportunity to pitch products to attendees.